Presented by Georgia’s Own Foundation, Inc.
John B. 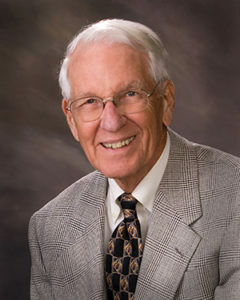 White, Jr. served the members of Georgia’s Own Credit Union for 33 years as an insightful, kind and impactful member of its Board of Directors. He was a strong advocate for our members and our employees and left an indelible imprint on our organization. One of the biggest constants in Mr. White’s life was service, as illustrated by his commitment to outreach in every aspect of his life. As a young man, he served our country during the Japanese Occupation, he volunteered throughout his professional career at the Bell South Classic and for other organizations such as Kiwanis, Rotary, United Way and the Boy Scouts, he sat on various different Boards and became involved in the symphony and art museums in every city in which he and his wife, Ann, lived. He was active in his church, in his retirement community and took enormous pride in championing the pursuits of his children and grandchildren. To honor the legacy of Mr. White, the Georgia’s Own Foundation has established the Georgia’s Own Foundation John B. White, Jr. Memorial Scholarship endowment at Georgia State University, which will reward one student in the Robinson College of Business each year for their academic achievement and their commitment to community. For more information and to apply for the scholarship, please click here. Congratulations to our 2017 Recipient, Edward Holliday! We are thrilled to announce that the winner of the 2017 John B. White, Jr. Memorial Scholarship is Edward Holliday of Atlanta. Edward received this scholarship not only for his impressive academic achievements, compelling essay and glowing letters of recommendation, but for his remarkable work in the community and detailed plans to continue that work through college and into adulthood through his career. Inspired by their late grandmother, Edward and his brother, Xavier, co-founded a non-profit organization called Brothers 4 Literacy & Life, which aims to provide access to books and other educational and life supplies to deserving children around the globe with meager resources. They are currently working with 3 schools in Africa, one in Jamaica and a local school, partnering with students who live in non-English-speaking homes to improve their language and reading skills. Edward has also served his community through his work as an Eagle Scout, as a volunteer at The GivingPoint Institute, as a contributor to the Audio Visual Ministry and the Youth Usher Board at his church and through the Service Corp, Community Service Club and the Student Diversity Leadership Council at school. These organizations have allowed him to impact organizations such as The Agape Center, The Trinity House, and many others. He has been awarded the 20 under 20 Award from the Atlanta InTown Paper, the Georgia Youth Leadership Award from 21st Century Leaders, the 2017 YOU International Award, a letter of recognition of service from Georgia Secretary of State, Brian Kemp, 2nd Place Teen Volunteer of the Year award from the Atlanta Fundraising Professionals and the Presidential Volunteer Service Award from President Barack Obama in 2015 and 2016. 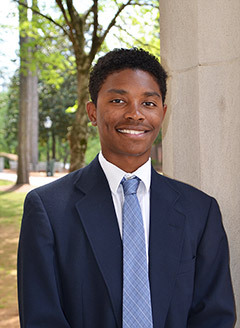 Please join us in congratulating Edward and wishing him the very best as he begins his time at Auburn University this fall!